Computer support service: this is part two of a three-part interview with a tech support business owner, Mat Maybee, and his recommendations about best PC solutions; PC virus protection; the advantages of wireless networking; recommendations for when you need to replace motherboard; and much more. What do you recommend for systems (hardware and software) for the average home user and/or small business user? I recommend all users get the best hardware they can afford. Most often, there is a general configuration I recommend to everyone I work with. For PCs, I recommend the latest Operating System (OS) - today it is Windows 8; a huge hard drive; lots of RAM; and a fast processor (plus the best warranty program that you can afford). I follow the same guidelines if the client needs a server, so that would include Windows Server 2012 (or Windows SBS (also known as Windows Server Essentials) Server 2012) and the same hardware specs. I also recommend a decent router to provide security on the broadband connection, and the best PC virus protection and anti-spyware software that you can afford; and one that provides automated scans and updates. 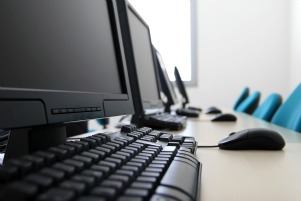 It's also important to assess the disadvantages and advantages of wireless networking: some offices or business do not want the added risk or need for added security that wireless networking requires; compared to other businesses (particularly those with a high number of laptops and other mobile devices) that need wireless for productivity and efficiency. 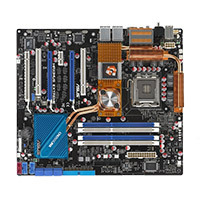 In your computer support service experiences, what's the most reliable motherboard and/or the most adaptable or customizable motherboard you work with? Motherboards: there are a lot of motherboard options on the market today, and they are relatively inexpensive. That being said, the cheapest option is not always the best, especially if the machine has a lot of demands placed on it. I personally recommend two brands of motherboards, Intel and Asus. I get Intel motherboards in every server I quote and install for my clients since they have excellent support and I have never had one die or kick up any unsolvable problems. And the same applies for Asus, I've had them in every PC I have ever owned, and they are indestructible. And in the one case where I had to get one replaced, the service was phenomenal and the replacement is still in use over 4 years later. I don't recommend anything I haven't used, so those brands won't steer anyone wrong. What's the cheapest motherboard that you recommend? Low cost and best value. Cheapest motherboard: I think MSI is usually the cheapest motherboard but I don't recommend it since I've had three of them die on me. So sorry I can't recommend the cheapest. My recommendations for best value motherboards are still for Intel and Asus. Mat Maybee, Critical Support Now, offers a one stop service for all small business IT needs. Mat provides complete network solutions (desktops, servers, routers, networking and security configurations); backup solutions (from protocols to help to recover hard drive); hardware and software upgrades, replacements, and maintenance; and a personable onsite user support experience. To contact Mat, go to Part 1 of this interview, Online Computer Tech Support for the contact link to Critical Support Now.